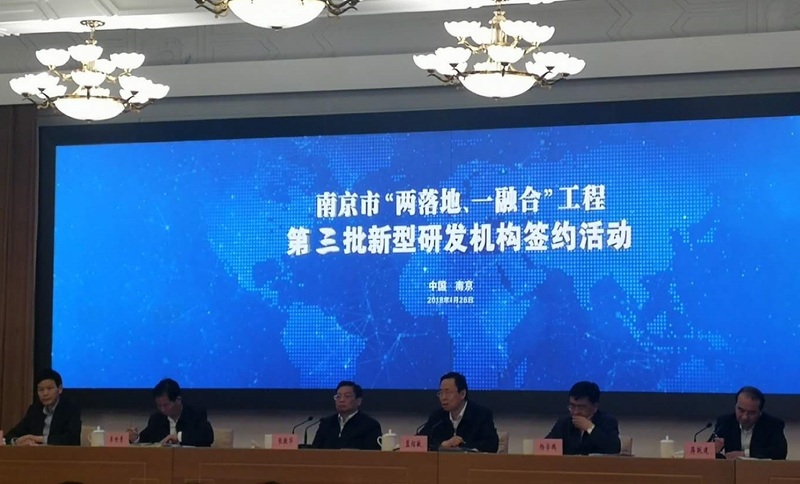 It signals the transformation of scientific and technological achievements, the establishment of a novel R&D institute and deep cooperation between universities and commercial enterprises. It is a source of pride that Nanjing Advanced Biotechnology and Life Sciences Research Institute, which is led by Nanjing Huashi New Material Co., Ltd., part of Sino Lion, is one of these signing projects. This Institute is initiated and invested by Nanjing Huashi, and it is organized in a diversified manner, guided by market demand, and operated in an enterprise mode. It is an innovative institution in the form of mixed ownership that integrates high-tech R&D and industrialization. This Institute is led by well-known international experts in related fields and brings together international and domestic top talents in many related majors. Its target is to support the development of new strategic materials for bio-pharmaceuticals, energy conservation and environmental protection, relying on synthetic biology, systems biology, modern enzyme engineering, fermentation technology and other key technologies. The research on advanced biotechnology and manufacturing is carried out in the direction of international and domestic market demand. On the one hand, it will involve fine chemicals, biofuels, and other bio-based materials; on the other hand, it will carry out stem cell and tissue regeneration, rare disease drugs, clinical detection of new methods and technologies, and other aspects of research, to help the development of life science. The establishment of the institute marks the formal completion of the construction of Sino Lion’s two major technology platforms of --the Fine Chemicals platform and the Hi-tech Biotechnology platform. Nanjing Huashi New Materials Co., Ltd. will also be based on the two platforms, especially the research results of the Institute that were successfully launched and will continue to introduce various new materials that are more aligned with customer and market needs.